With only 31 days to go, Olympic mayhem in the Bay Area is ratcheting up. 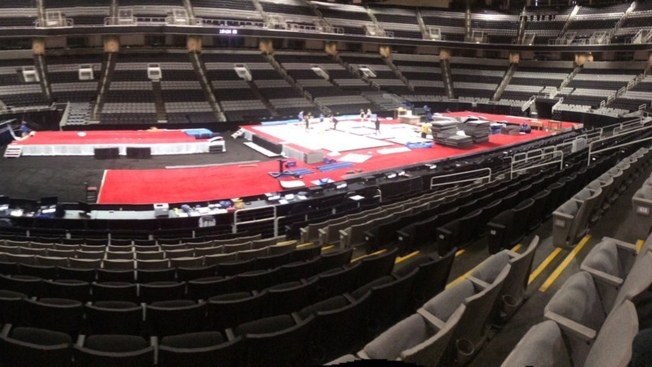 Preparations are in full swing at the San Jose-based SAP Center, where the U.S. Olympic Team Trials – Gymnastics will be held, starting Friday. On Sunday, the United States Olympic Committee is slated to select five women who will compete in the 2016 Olympic Games in Rio de Janeiro, Brazil, between Aug. 5 and 21. Nineteen-year-old Simone Biles has been perhaps this year's biggest standout. Many believe Biles, who recently won the USA Gymnastics National Championships, will walk away with multiple medals at the Rio Olympics. Olympic veterans Alexandra Raisman and Gabrielle Douglas are also considered frontrunner to make the U.S. team. The weekend event is already sold out. Athletes are gearing up to compete in 41 different events at the Olympics. One of the less talked about sports is archery, which is growing in popularity in the Bay Area, thanks to movies like "The Hunger Games," "Brave" and "The Avengers". Meanwhile, table tennis players have access to one of the biggest training centers in the United States in a Milpitas strip mall. A mechanical engineer established the India Community Center Table Tennis on N. Milpitas Blvd. roughly 10 years ago. The facility began with just a couple recreational tables in a lobby. It has since sent six athletes to the Olympics. This year, two more are bound for Rio, including 2012 Olympian Lily Zhang. "It’s definitely one of the best clubs in America," Zhang said. For more information about the Olympics, visit: www.nbcolympics.com or www.rio2016.com.